On October 2nd, 2017, I posted an announcement saying we are pleased to announce our new address. One year later, I am pleased to announce that we love our new address. Email address remained the same. Employee phone extensions remained the same. 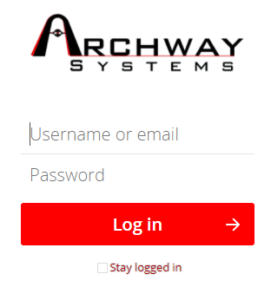 Archway Systems strives to provide you with the best experience with the Archway Portal. As part of our improvement program, we will be upgrading the server which hosts the portal. The Archway Portal will be offline starting Saturday, August 11th, 2018 at 8 PM CDT. We will resume services on Saturday, August 11th, 2018 at 11 PM CDT. During this time, you will be unable to access to files on the Archway Portal. We appreciate your understanding, as we upgrade our servers. I have set up a secure website to transfer files that are too large for email, or you simply want to use for storing files. It will ask for your username and password. Please contact Daniel Hebblethwaite or Travis Whiteman for your username and password. These are both case sensitive. Once you are logged in, you will see a folder with your username for you to store all your files. 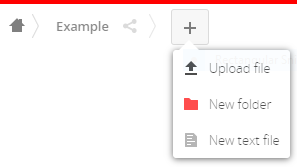 You can drag and drop any files into that folder, or click on the plus icon at the top right and click “Upload File”. If you ever deleted a file and need to recover it, on the bottom left click “Deleted files.” Files will be kept in the trash bin for 180 days. If you ever need any help, please call the Archway Systems Technology Department at 816-709-3358 ex306 or at the following email: [email protected]. We would be more than happy to assist you! At the Archway Portal, you can do everything you need just like you would with the old FTP, along with improved features such as being able to view the document directly in the web browser. The Archway Portal is a secure website using SSL Encryption. We will no longer be using the FTP site to transfer files, and the content will be removed on March 01st, 2018. Please contact Daniel Hebblethwaite or Travis Whiteman to gain access to our new Archway Portal. All the files that were on the FTP site have been moved to the new Archway Portal. Thank you for your understanding as we try to improve our services. If you have any questions or concerns, please contact Daniel Hebblethwaite or Travis Whiteman. We are pleased to announce that as of October 2nd, 2017, our new address is 17020 E. 40 Hwy. STE 1. Independence, MO, 64055.